Losing a tooth as a kid means a visit from the tooth fairy, so my kids thought it would be fun to make tooth fairy pouches out of repurposed Hiland Dairy Milk jugs. They are strong enough to protect itty-bitty teeth while making it easy for their fairy friend to slide them from underneath pillows. 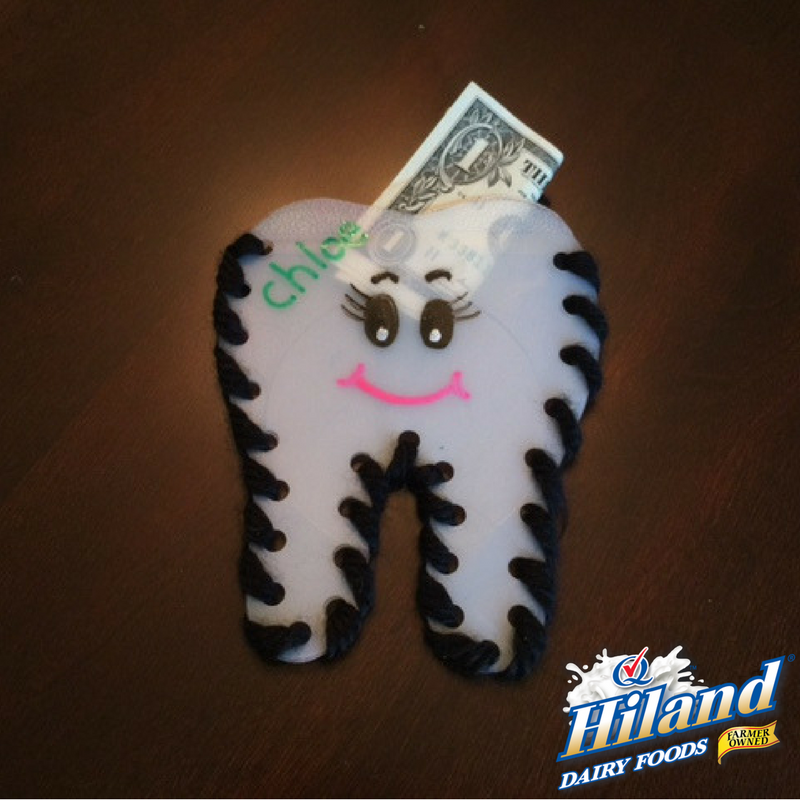 Since we’re talking teeth, be sure to incorporate plenty of Hiland Dairy Milk into your family’s daily diet. It has calcium, protein and vitamin D, which help build strong bones … including your choppers. Rinse jug and remove label with warm, soapy water. Allow to dry completely. Cut out a tooth shape from the craft paper. 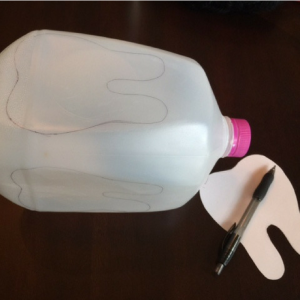 Turn the milk jug upside down and trace around the tooth on the two flat sides of the jug. 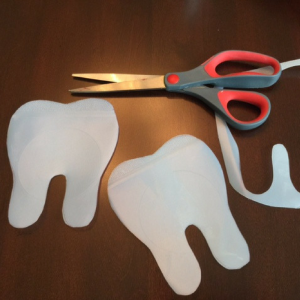 Using sharp scissors, cut out both tooth shapes. 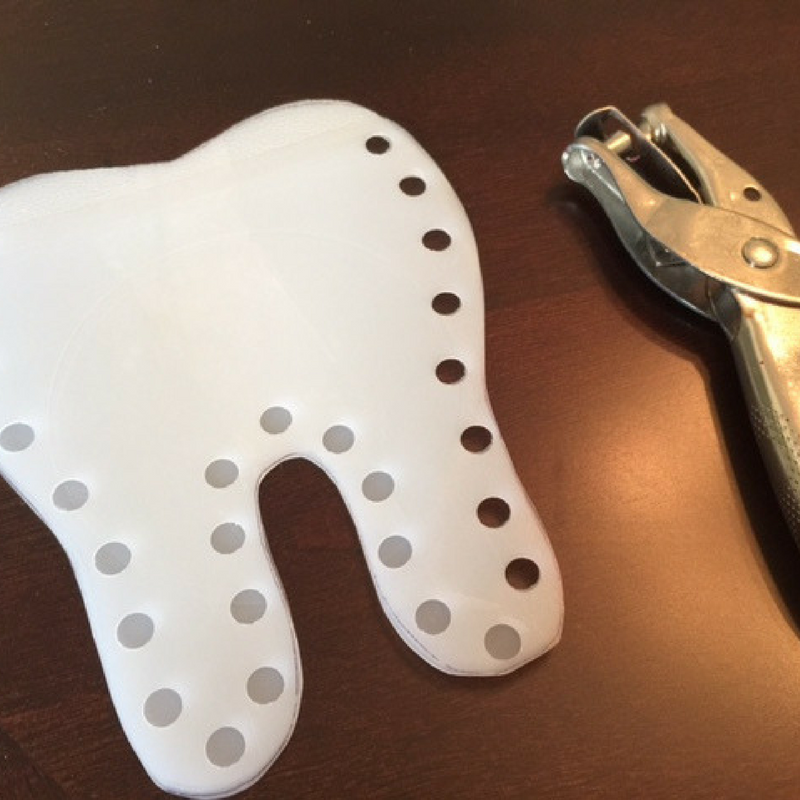 Punch several holes around the perimeter of the tooth shapes. 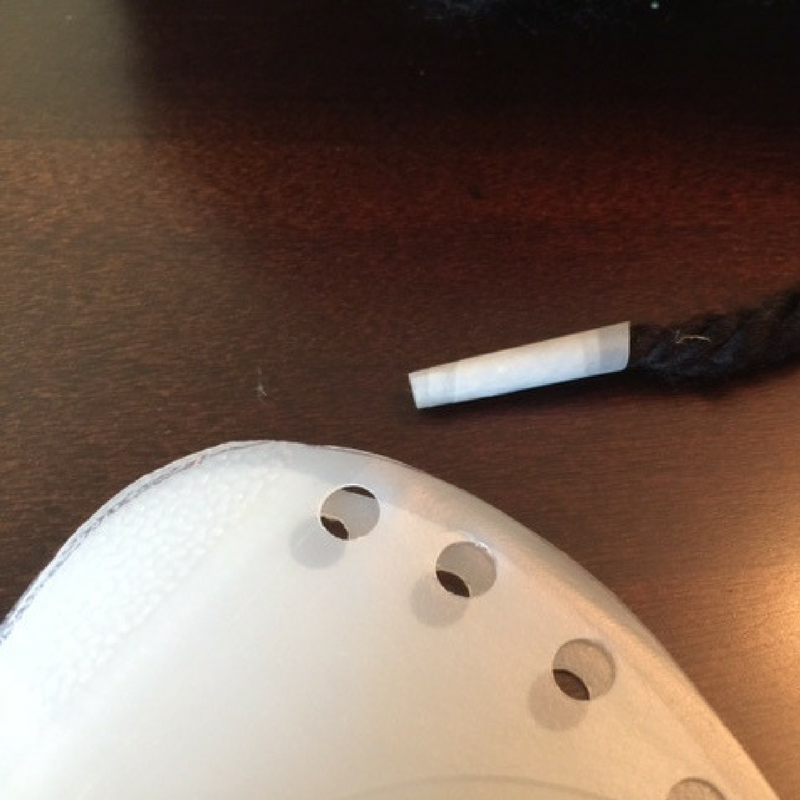 Tip: Be sure not to punch holes at the top for your opening. 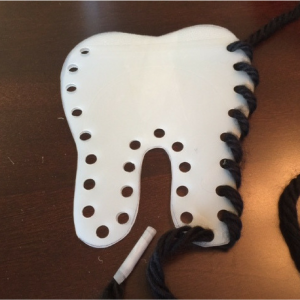 I punched the holes in one tooth at a time. In order to create holes in the same location on both tooth shapes, hold the teeth together tightly and punch holes in the second tooth using the first tooth’s holes as reference points. Weave the yarn through the holes to create a pouch. Tip: I wrapped tape around the end of the yarn to make it easier to string through the holes. Cut off excess yarn and tie in knots on the backside. Tip: You can glue the knots to prevent fraying. Draw a cute face on the front and write your child’s name. 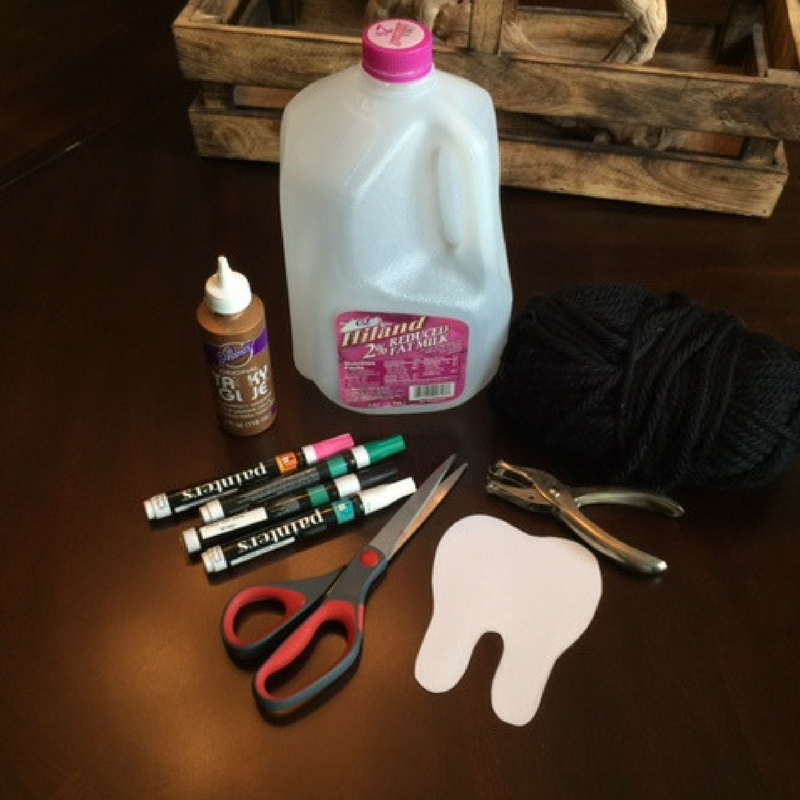 Keep your family’s teeth in tip-top shape by adding dairy to their diets every day. It’s easy! Start your morning by pouring Hiland Dairy Milk over a bowl of cereal. Later in the day, snack on fresh Hiland Dairy Cheese. 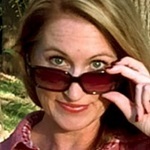 And, don’t forget to serve a tall glass of Hiland Dairy Milk with a healthy dinner.